Over the years, energy efficiency has become a major initiative for many data center operators as organizations are asked to take on more power-hungry workloads. Operators must keep server room temperatures stable and follow monitoring best practices to maximize uptime. Businesses are increasingly using servers to handle big data and analytics applications for better decision making. However, this places extra pressure on systems to maintain optimal performance standards and deliver quality service to users. 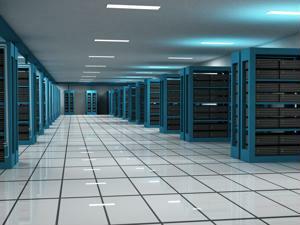 Data centers are becoming a popular investment for many businesses as IT services increase in complexity. Forbes contributor Mike Bennett noted the predictions for 2013 data volume levels estimate that it will quadruple 2010 numbers, arguing that this development will drive the need for rapid operation innovations to decrease the environmental impact of processing and storing data. While colocation can reduce power and cooling costs, it's still crucial to ensure that proper environmental control systems are in place to appropriately regulate facility conditions. Design strategies are also popular as they give organizations the opportunity to better utilize space and hardware without having to physically remodel the entire facility. Adopting emerging clean technologies can also be beneficial for achieving long-term advancement goals. With these solutions, organizations can better conserve their energy use and drive for additional savings benefits. "The proliferation of data is not going away, and neither is the IT that consumes energy," Bennett wrote. "The time is right – and the capabilities are available – for IT leaders to make strategic decisions that both improve energy efficiency and put their businesses on an agile path for growth." Temperature monitoring is regularly used by operators to regulate server conditions. However, as hardware gets older, emerging computing demands become increasingly challenging to manage. Data Center Knowledge contributor Bill Kleyman noted that vintage platforms will not have the capacity or reliability necessary to successfully deploy big data, virtualization or cloud solutions. Building a completely new facility could be extremely expensive, whereas modernizing the existing space or choosing to colocate may be more cost-effective options. By transferring some of the work to another location, facilities can realize better cost savings and operators can better focus on the improving the system. Understanding what components will evolve offers insight into future investment strategies. This will allow them to prepare for the future and ensure that systems will be able to handle any new changes. "Many companies looking to make the most of previous investments choose to modernize their existing facilities, as it can often be done more cost effectively than the other options and usually yields significant improvements in reliability, efficiency and operational effectiveness," Kleyman wrote. Data center operators have considerably improved their approach to power consumption by using alternative methods such as outside air and cleaner cooling systems to drive positive changes. Using these solutions, operators can better control environmental conditions and ensure that server uptime is maximized for optimal performance.